What ever you are doing today, take some moments to reflect on your gifts and talents as a woman. Do you appreciate that you come from a long linage of women and that as a woman you have a thousand women in you? You are a teacher, healer, mother, wife, warrior, saint and much more. You are pure creative infinity and you have history in your bones. You have a responsibility to step out as one of the wise and courageous, so that old chains can be broken, and good vibrations can be felt. On my ongoing journey of self-empowerment and purpose, I see that my power lies in the daily choices I make. How I choose to be makes a difference to my own personal wellness, has a big impact on those around me and creates a ripple effect in the world. I have accepted that I am different to men because I am a woman with my own cycles and rhythms to respect, and I no longer choose to push through my own pain barriers or ignore my body’s need to rest. I have discovered that when I take good care of myself, I am of greater service to others and by following my monthly cycle, I can tune into my superpowers. 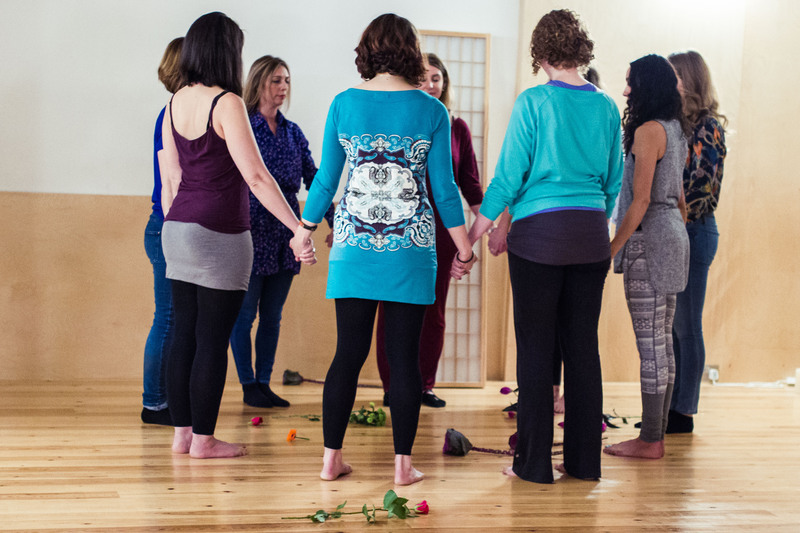 For me, the key to receiving the gifts of womanhood lie in understanding the movement of my inner cycle and in doing so, listening to the needs of my body, mind and spirit. This experience in many ways is holy. I am learning the power of taking sacred time and creating space to look within, and connect to the divine voice that is waiting for me in the quiet pauses. I am learning to love my body, dance with my spirit and calm my mind. It’s a daily balancing act and one that has its own flow. As I walk my path, I am constantly reminded that I am not alone. And I am sourced by the power of a supportive tribe and that tribe is inclusive of men. In our quest for equality, we must be mindful of staying connected to what is healthy for our planet. We are here to breed love over fear and we will only be successful if we unite as one universal human tribe. We are at a pivotal point in our evolution; we have the chance to become part of a Galatical community. But we must stay focused because the ego cannot stand the idea of equality. I see there is a need to march, to mobilise, to protest and show up, and I ask that we do this with love and peace in our hearts. The time for screaming and shouting is over, the time for embracing and collaborating is here.